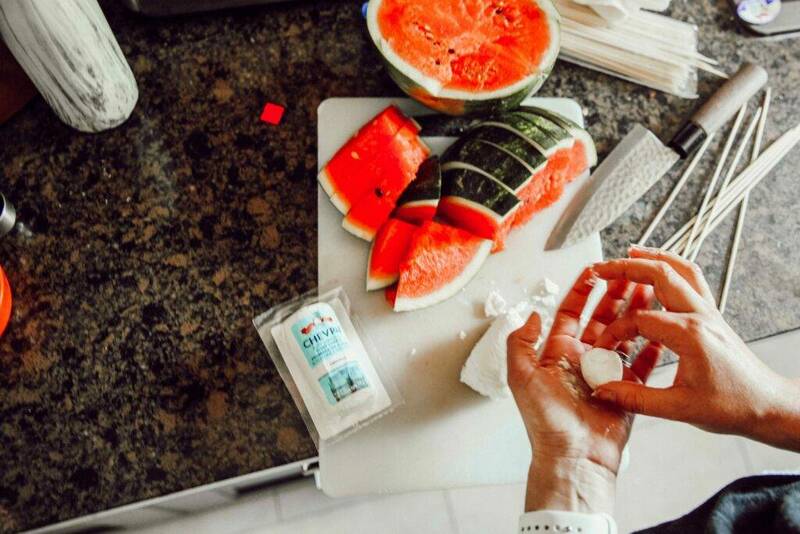 Slice the small watermelon into approximately 1-inch thick chunks. The watermelon can be made into rounds with a melon baller or cut into triangles as you prefer. Set aside. Roll the Woolwich Dairy CHEVRAI Original Goat Cheese into 1-inch thick balls. Roll a few of the balls in walnuts or almonds, roll some in herbs de Provence and leave a few naked. Set aside. 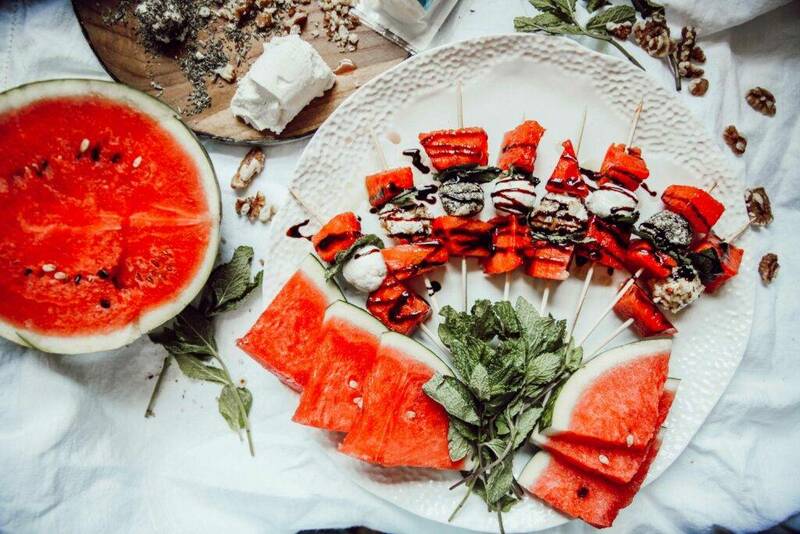 Assemble the skewers with a piece of watermelon, a mint leaf, a ball of Woolwich Dairy CHEVRAI Original Goat Cheese, and the second piece of watermelon. Plate, then drizzle the skewers with olive oil and balsamic glaze. Welcome to Woolwich Dairy, your goat cheese experts! From goat cheese logs, to surface-ripened cheeses, to spreadables, to shreddables - we've got you covered! The best part? Our carefully crafted goat cheese is made with fresh Canadian goat milk and quality ingredients! Ready for you to enjoy everyday. Started in ’83, now we’re here. In Orangeville, Ontario that is, producing delicious award-winning goat cheese! With over 30 years of dedicated experience working exclusively with goat dairy, Woolwich Dairy has evolved from a mom-and-pop-shop into a brand that proudly services all of Canada. With growth, we’ve never lost sight of the things that make Woolwich Dairy special: our love for Canadian goat farmers, their animals and the fresh goat milk they produce.